Taylored Expressions January Release Day: Picture Perfect Smile/Hello! Hello! It's Release Day at Taylored Expressions which means that all of the new products are available NOW in the TE Store!!! For my final project this release, I used the adorable new set Happy Hens Petite Stamp and Die Combo along with one of the fun new Picture Perfect Smile/Hello frames! I cut my Hello frame out of Oreo cs and layered that over some Sugar Cube cs that I embossed with the new Chicken Wire Embossing Folder-LOVE!!! I then used an Egg Stacklets Die to cut out my egg, and I sponged around it with Ranger Antique Linen Distress Ink. 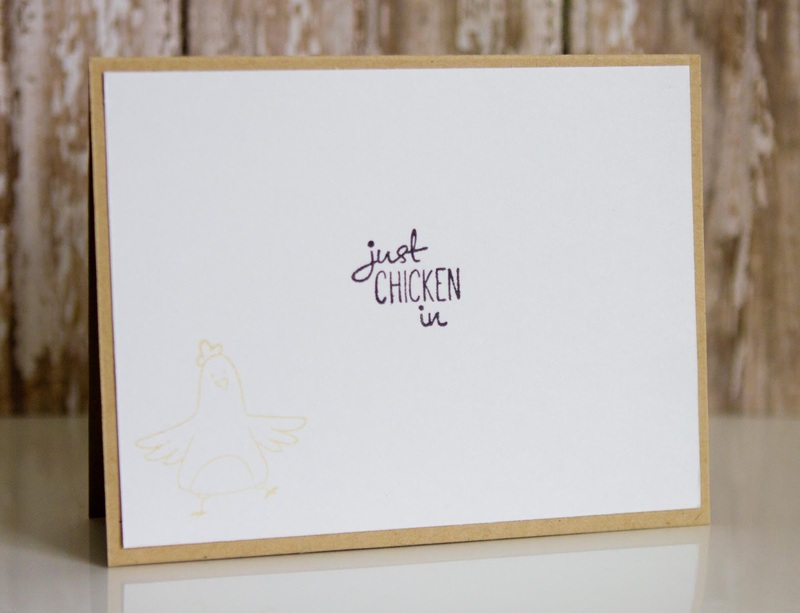 I stamped my sweet image with Memento Tuxedo Black, colored with Copics, and cut it out with the included dies. I popped it up over my egg and it was complete! 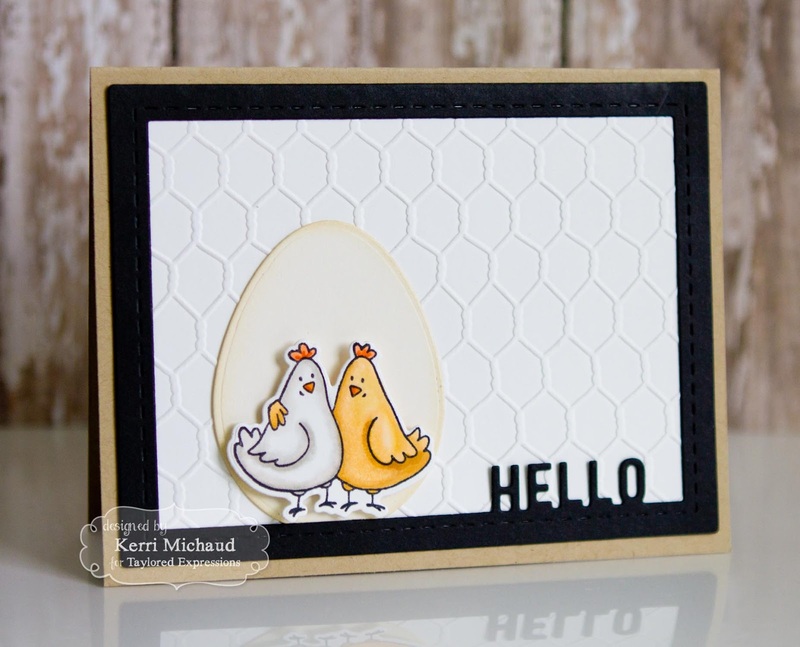 On the inside, I stamped a sentiment from the Happy Hens set and another hen image which you can barely see in the left lower corner!